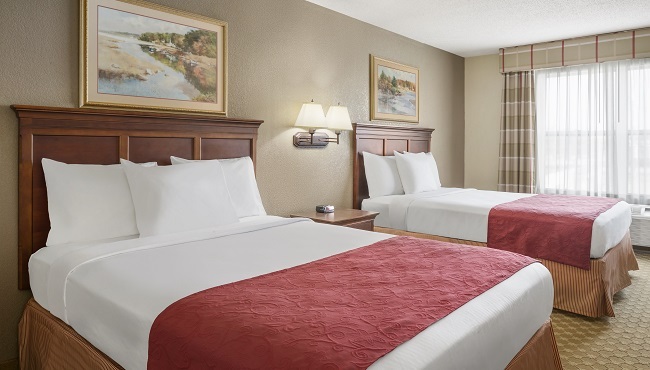 Make yourself at home at the Country Inn & Suites hotel with in-room conveniences like a refrigerator and a microwave, perfect for storing and preparing food and beverages. Settle in with your snacks and watch an HBO special on your flat-screen TV. 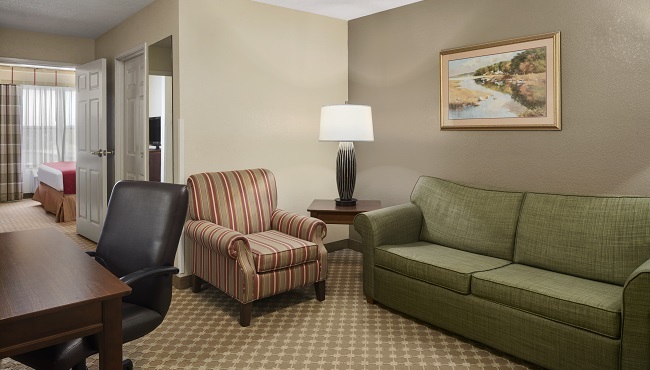 When you wake in the morning, you can prepare your first cup of joe with your in-room coffeemaker before heading down to the free, hot breakfast. 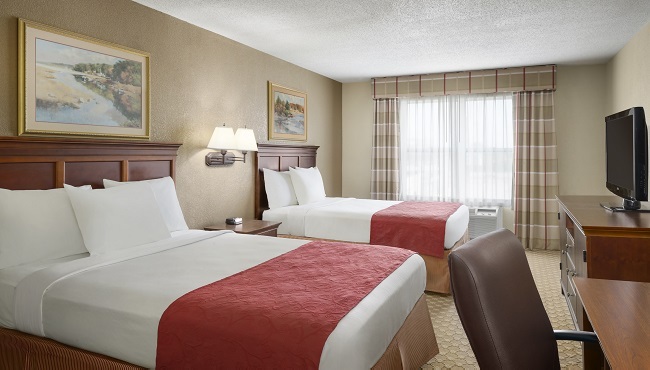 Rest well in a Standard Room, which includes all standard amenities and your choice of one king or two queen beds. 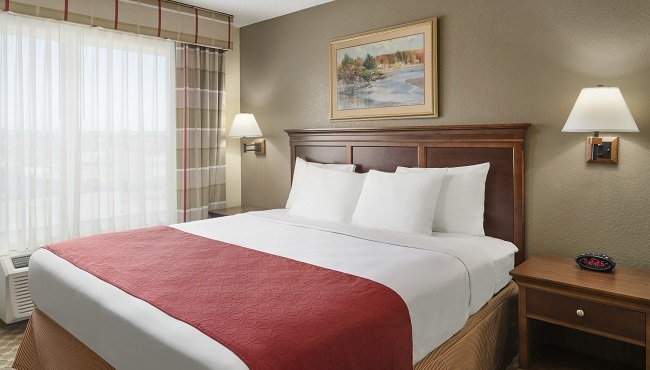 Whether you're traveling alone on business or need extra space for the family, our Studio Suite meets your needs with a work desk and extra bedding. 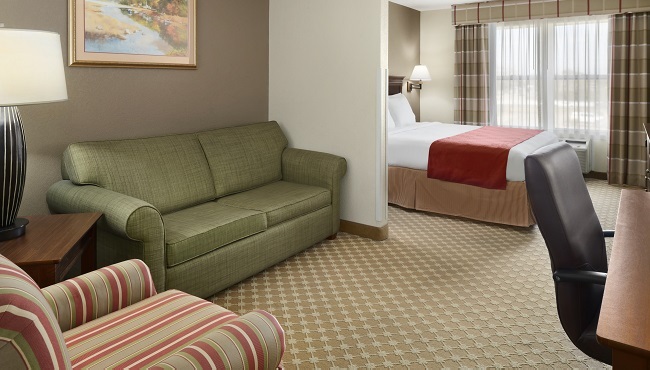 Ideal when you're traveling with a group or need to stay awhile, our One-bedroom Suites feature a private bedroom.